Gunma Prefecture has long been the place of production of raw silk, which had sustained the modernization of Japan after the Meiji Restoration in 1868. 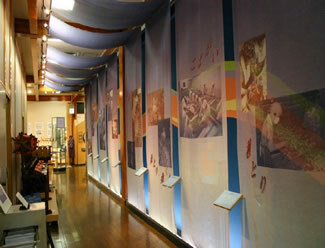 The Nippon Silk Center (Nippon Kinu No Sato) is a silk museum for showcasing the richness of silk culture in Gunma to this day. It is the place where you can meet the rich culture and history of the sericulture industry in Gunma that played such an important role in shaping Gunma into what it is today.